Unfortunately, it doesn't offer local encryption, and the upgrade plans are quite expensive. There's also no permanent free program which means you'll have to upgrade to a Pro plan sooner or later. Read more about SugarSync down below. SugarSync has some different plans that you can pick from. They are no different to each other apart from the amount of storage you get. When you start off, you can go for the free 90-day trial where you'll receive 5 GB of storage. You can also go for any Pro plan without paying for it straight away since they all include a 30-day trial period. SugarSync is very expensive and is not competitive when compared to other cloud storages. You can also receive free additional storage by referring friends. Well, it's free for you but not for your friend. Whenever somebody you referred upgrades to a Pro plan you and him will receive 10 GB of storage for free. That can be done up to a maximum of 40 GB additional free storage. SugarSync is suitable for anyone who wants some working files synced across all of his platforms. The upgrade plans are quite expensive which you have to keep in mind as well. 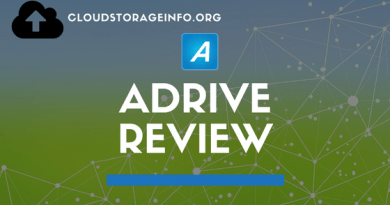 If you're truly looking for a reliable syncing cloud service and you don't mind paying a bit more for it, then sure go for it. However, there are cheaper alternatives on the market. Find them here. 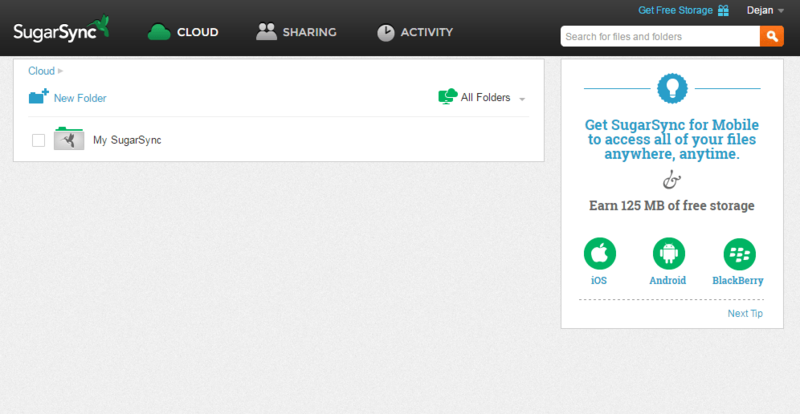 Registering for a free 90-day trial with 5 GB will be as easy as at any other cloud storage. If you decide to go for the 30-day trial of any of their Pro plans, you will have to enter your bank or PayPal details. You won't be charged immediately, that will happen 30 days after your sign-up. In that period you can cancel your trial at any time and that way cancel your subscription to them. Leaving that aside, SugarSync is truly focused on syncing your files across all of your files and is not your standard cloud storage. After a few minutes on their interface you'll figure out where everything is, it's rather straightforward and modern looking. 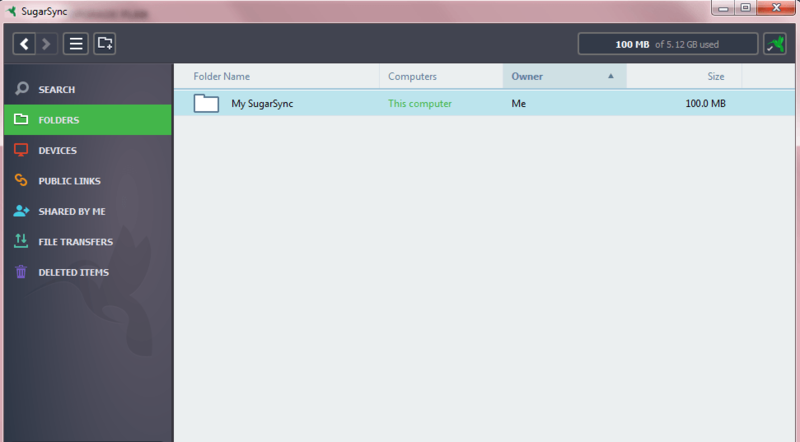 SugarSync is available for you to install on Windows or Mac. 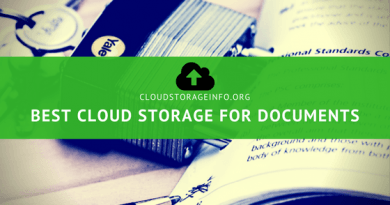 Unlike with other cloud storages, they focus on syncing your files across all devices. The desktop client your install on your computer doesn't create an imaginary drive, instead, you have a program where you do all the necessary things. The big advantage you have with SugarSync is that you can select which folders you want to have synced across all your devices. The syncing speeds are incredibly fast, and you'll have no issue with that. You can do pretty much everything in the desktop app that you can do in your browser. 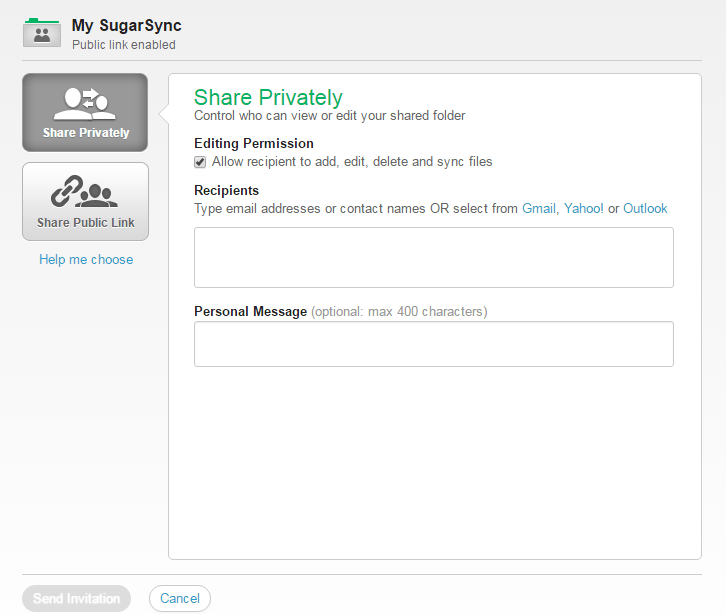 You can decide between two options on how you want to share your files and folders in SugarSync. As public or private links. The person you're sending the link to doesn't need a SugarSync account. 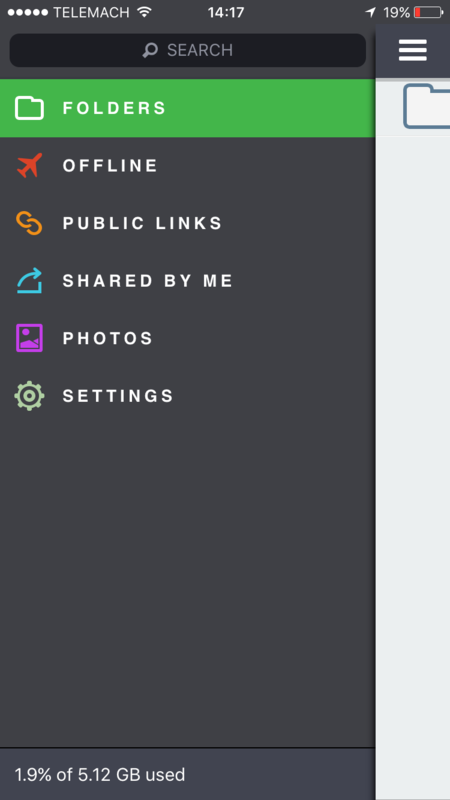 Everyone will be able to download from the public link, while only the people you invite will be able to see and download from a private link. Public Links shared by free customers can use up to 10GB of bandwidth daily, while links sent by paid users can use up to 250GB of bandwidth, which is quite a satisfying number, to be honest. There are also no file size limitations. I am missing a few advanced options like password protected links or time-limited links. Apart from that, I have no complaints. 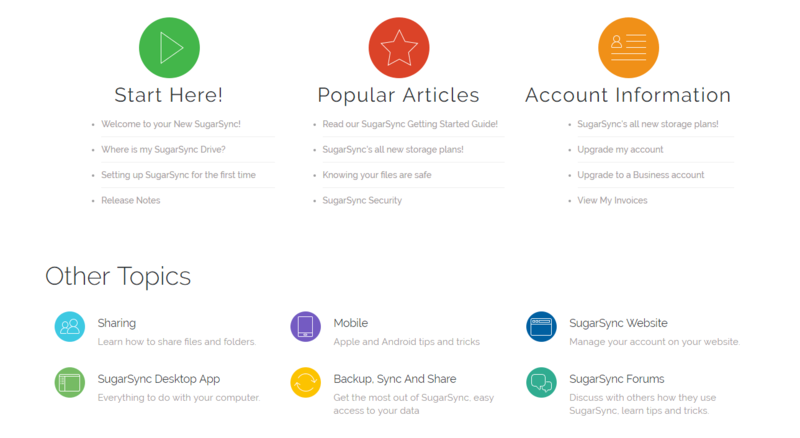 SugarSync keeps five previous versions of your files, no matter what pricing plan you're at. You just right click the file -> Show versions, and voilà, there they are. 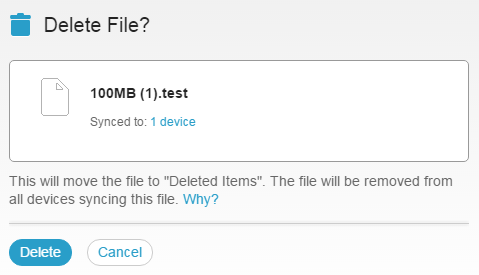 You also have the deleted files folder, where you can find all your removed files. Files that you deleted will stay there for 30 days, after which they'll be eliminated permanently. 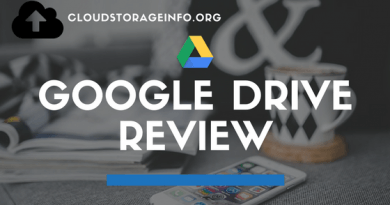 Keep in mind that deleted files still take up your space so you might want to permanently delete them yourself, if you're sure you won't be needing them anymore. When you sync files to SugarSync’s servers, your files are sent over the Internet using TLS (Transport Layer Security) encryption. When your files reach their servers they are encrypted with 256-bit AES, which is the same level of hacker-proof protection used by major banks. They also backup your synced files on another server. When downloading your files they undergo the same procedure as when you upload them. Local encryption is not available. Customer data is accessed only when necessary, solely for troubleshooting purposes. Access is limited to only a few individuals in their team who work in conjunction with developers to solve difficult support cases. SugarSync offers an extensive FAQ base which will most probably answer most of the questions you might have. You can also try looking through their community forums. If you don't find your answer here you can always contact them through an email. And lastly, they offer an option to subscribe to their live phone support ($99.99/Yearly). Phone support is available from 6 AM to 5 PM Monday through Friday (Pacific Standard time). You can download SugarSync on iOS and Android systems. The application itself is well developed and design with no flaws. You can do everything that you can do on your PC. They also give you the option to backup all of your photos and videos. There's also an option to make certain files available to you offline, which is always a nice feature to have. All in all a very useful and nice looking app. 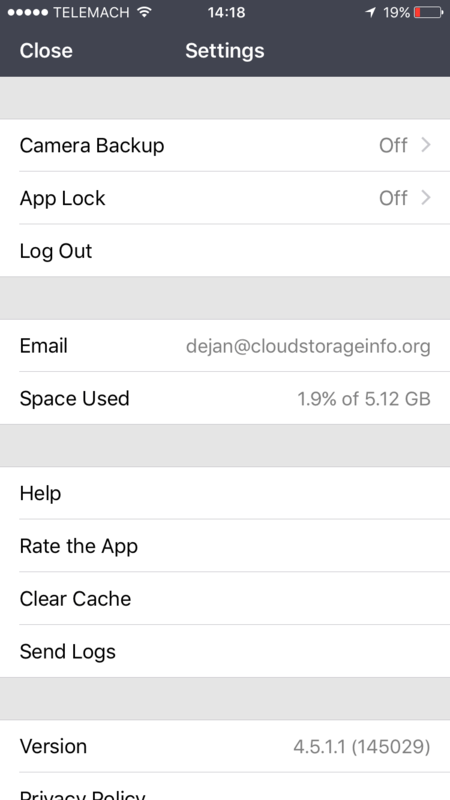 When you draw the line SugarSync still remains one of the more expansive cloud storages. Having said that, it's not one of those badly developed cloud services with crazy prices. You get what you pay for and that's at least something. They offer great a great syncing solution, decent sharing options with large bandwidth limitations, good security, extensive FAQ base and a well-made mobile application. They could improve the sharing options and add local encryption to their service. All in all a decent cloud service that focuses on making sure that your files remain synced across all your devices. YOUR OPINION MATTERS! Review SugarSync yourself as well by posting a comment below. Would you just like to share or ask something ? Just skip the review part!